The system later changed when the Indian stamps overprinted with crown and Straits' stamps overprinted with dollars and cents were introduced in 1867. The first inaugural set of postage stamps was introduced in 1901. 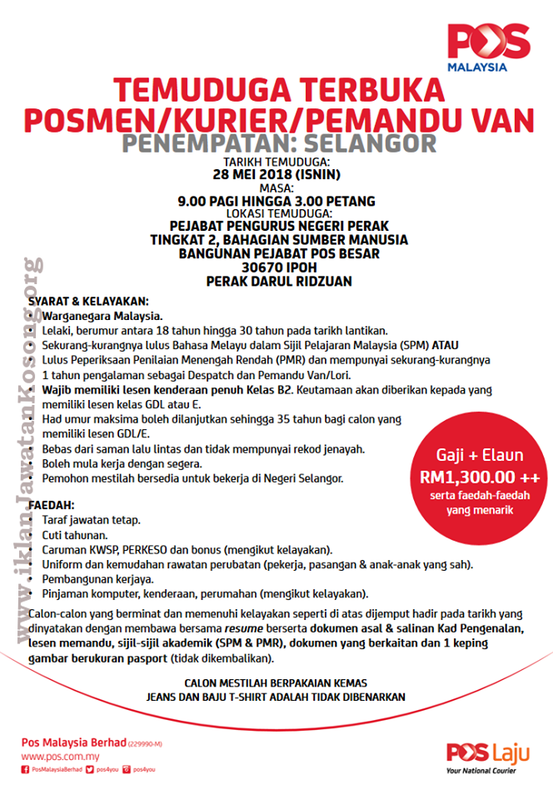 In 1992, Pos Malaysia Berhad was corporatised from the PSD. In September 2001, Pos Malaysia Berhad was listed on the then Kuala Lumpur Stock Exchange (now known as Bursa Malaysia Berhad) through a reverse takeover of a Philio Allied Berhad assuming its listing status. Today, Pos Malaysia has many Strategic Business Units - POS Laju, POS International, Data Pos, POS ArRahnu, POS Digicert, POS Solutions & POS Online. 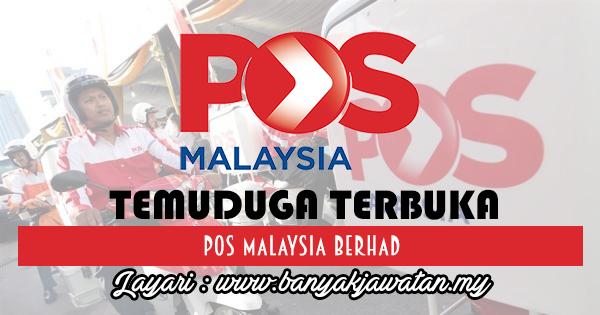 0 Response to "Temuduga Terbuka Terkini di Pos Malaysia Berhad - 28 May 2018"